Miscellaneous | WordPress and DotNetNuke Website Design and Development. I was using the ARVE video embedder plugin on WordPress. I configured another website with the plugin with the aim of comparing the two websites. There was no error! ARVE has a handy Debug Info tab on its settings page. I used this to compare the two websites. The working website was running version 7 of PHP. I switched the version on the erroring site to 7.0. The error message disappeared. When writing documentation or blog posts it would be nice to include domain references which don’t link to real websites. Fortunately the people who organised the domain DNS references set aside some domains specifically for this. The domains won’t be made available and are to be kept purely for documentation. There’s a document detailing Reserved Top Level DNS Names. Well that’s the domain names sorted. What about IP addresses? Yes, these have been thought about too. There’s 3 series of the older ipv4 address blocks kept aside for this. Details are given in the document IPv4 Address Blocks Reserved for Documentation. And there’s the one for ipv6, covered by the document IPv6 Address Prefix Reserved for Documentation. On emails sent from MailChimp the line spacing and the gap between paragraphs may be too large. Can the spacing be easily configured? The line spacing, the height of each line of text, can be set within the template editing. However, the option to configure the spacing between paragraphs is not given. 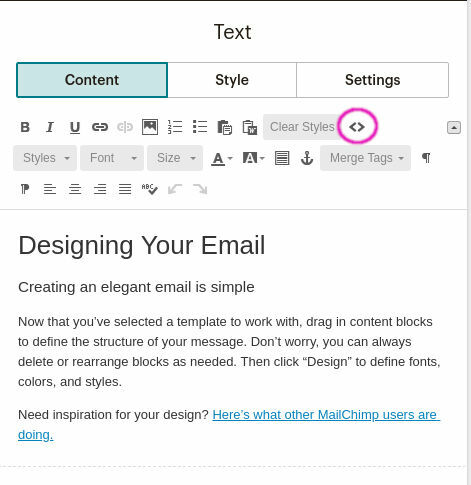 Login to your MailChimp account and click on Templates in the menu at the top left of the screen. The view changes to show your list of templates which have been created. Its assumed that you wish to modify an existing email template. To avoid making uncorrectable changes to one of your templates – take a copy. From the list of templates click on the Edit drop down list at the right hand side. Select Replicate. Now click on Edit at the right hand end of the line. Shown on the page on the right hand side are content features to be included (these can be dragged into the template and used). 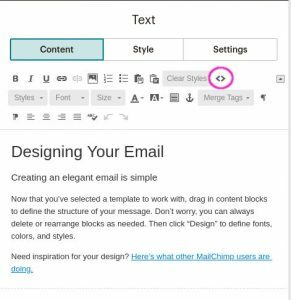 The second tab Design provides a number of options affecting the look of your Mailchimp email. The image below shows the expanded Body Design section, with the line height set to 1 1/2 spacing. Your selection is reflected in the template view, on the left of the page. Similarly the spacing for the headings can be set within the Page section. 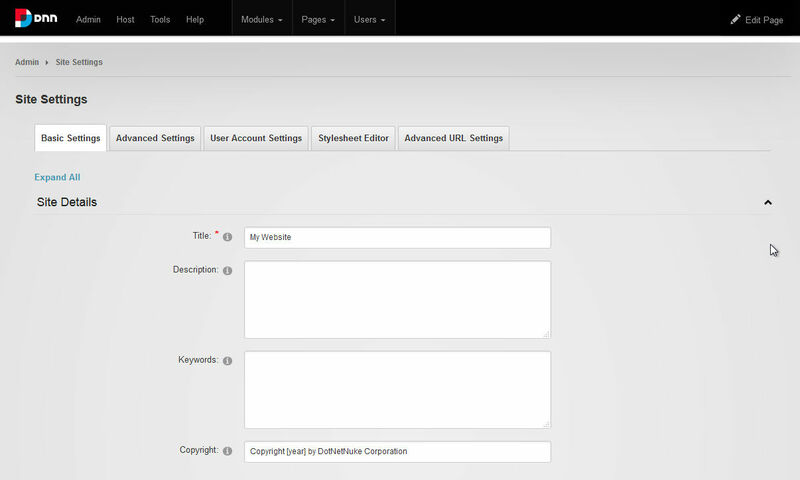 For individual content blocks added to thetemplate further customisation of the spacing may be included. The text block includes a Line Height setting under the Style tab. If the spacing options given above are not enough and you wish to edit your template to a finer degree the option is to edit the themes HTML. If you wish to modify other aspects of the email styling, for example the spacing after a paragraph, a different approach is required. Click on the text block in the template view to show its Content; Style; and Settings on the right hand pane. Within the editor click on the icon highlighted above, to show the HTML code view. Change the number of pixels set to suit your presentation. To make the changes globally will require editing of the HTML code of the template. To edit the template’s HTML the theme is first exported, edited, and then once more imported for use. On the list view of the templates this is offered as an entry in the dropdown list along with edit at the right hand side. MailChimp presents this as an option with a warning that the imported template doesn’t allow visual blocks to be added, edited or moved. You may find that copying the HTML view of the email template locally and making the edits a better way. Open the file with an HTML editor such as Geany. Within the MailChimp template there is styling at the top. This is used to set the appearance of the email. Covering elements such as the font colour; page background colour; and the font size. 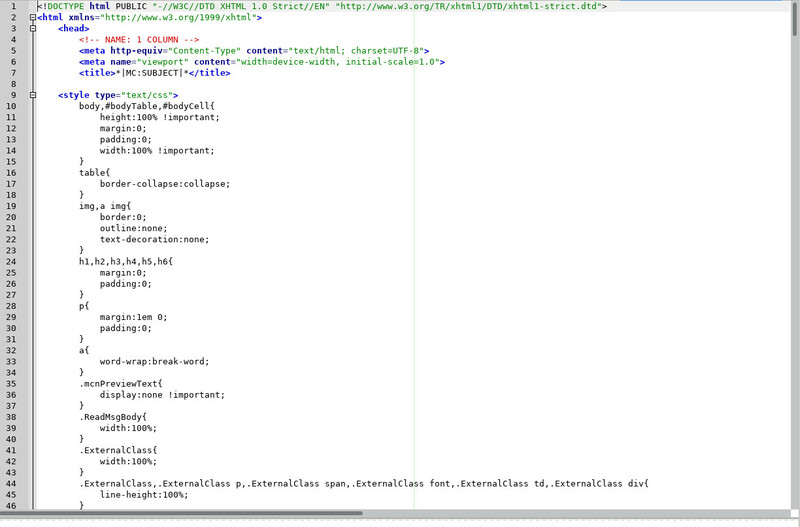 Its within this styling section <style type=”text/css”> that the line-height and the margins will be edited. As shown above its the section, below which is the base configuration for paragraphs. Within the above modify line-height to a smaller percentage to bring the liens of text closer together. You may also add the paragraph top and bottom margins here. Once the edits are completed theHTML cotnent can be added back as a template. 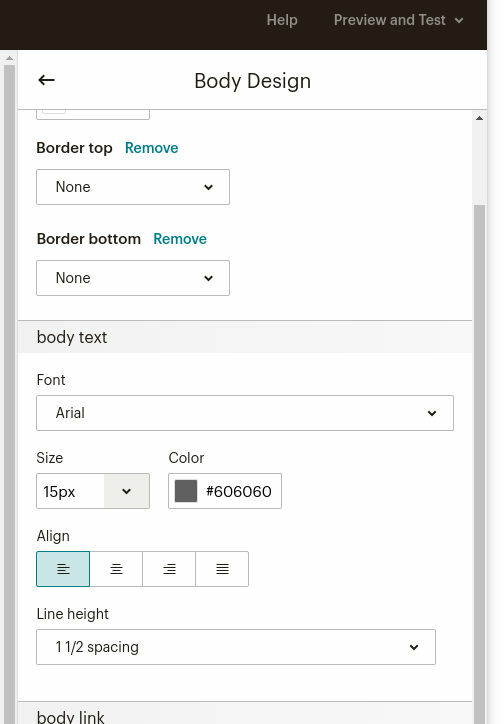 On the MailChimp Templates view click on the button Create Template, top right corner. The new template will be created using code, click on the tab Code your own. within this tab click on Import HTML. Follow the instructions to upload your saved template HTML file. Unfortunately as already highlighted when exporting the HTML the visual block editing is now missing on the right hand side of the page. 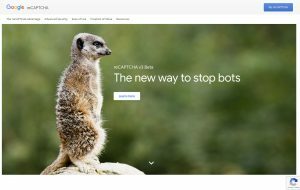 reCAPTCHA can be used to help prevent spam and abuse from the completion of the forms on your website. 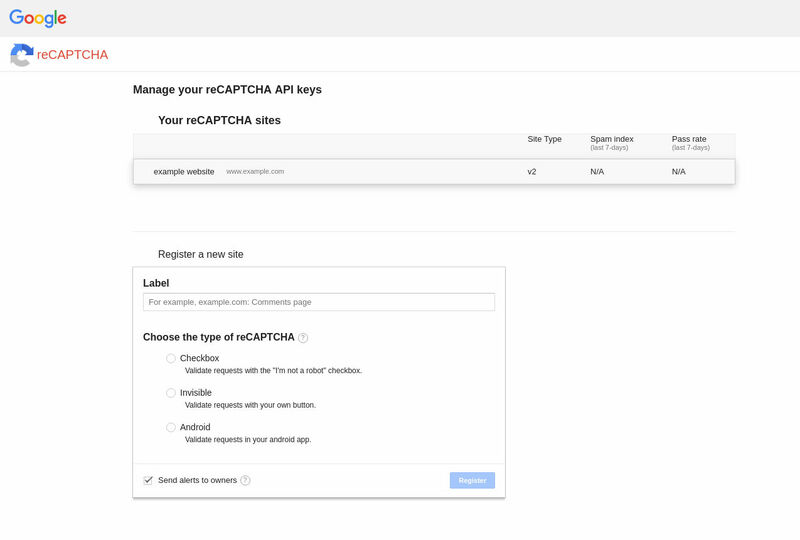 If you, are registering a domain for your own use, or to provide the reCAPTCHA API keys details for your website developer this guide will be of interest. 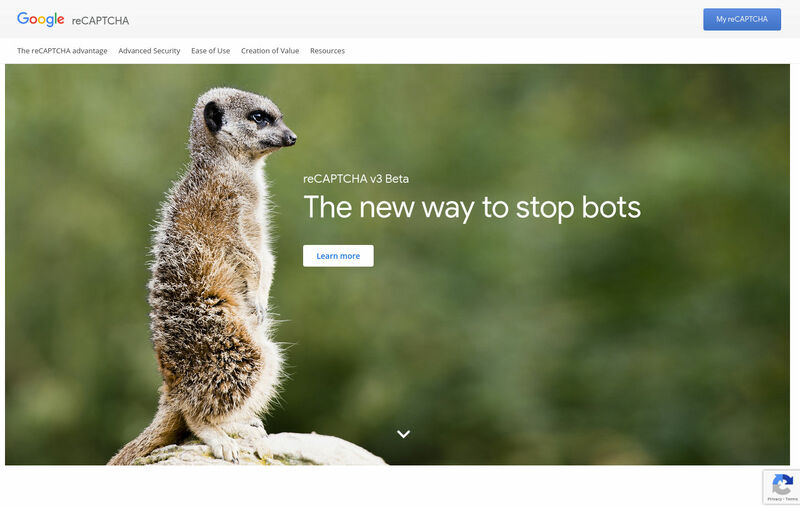 In this example a new website will be registered with the checkbox style of reCAPTCHA. 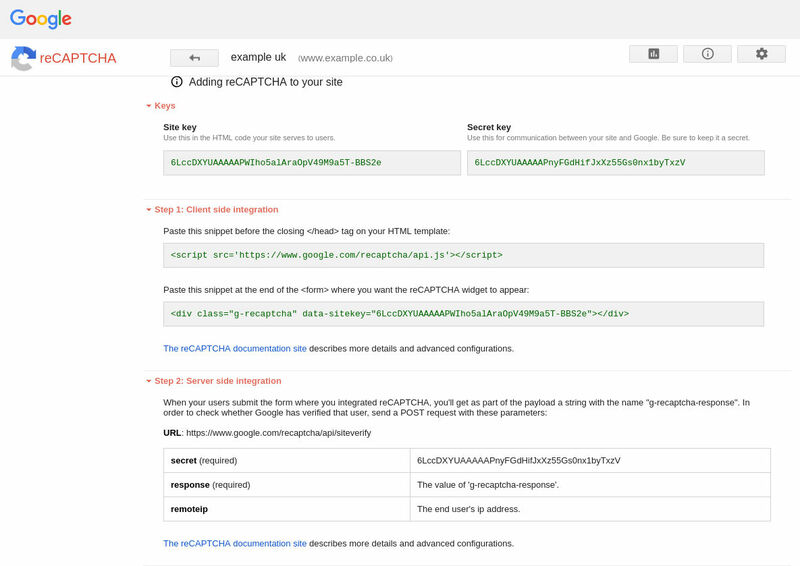 To make use of the service, provided by Google, reference keys are created which are incorporated within the form code on the website. 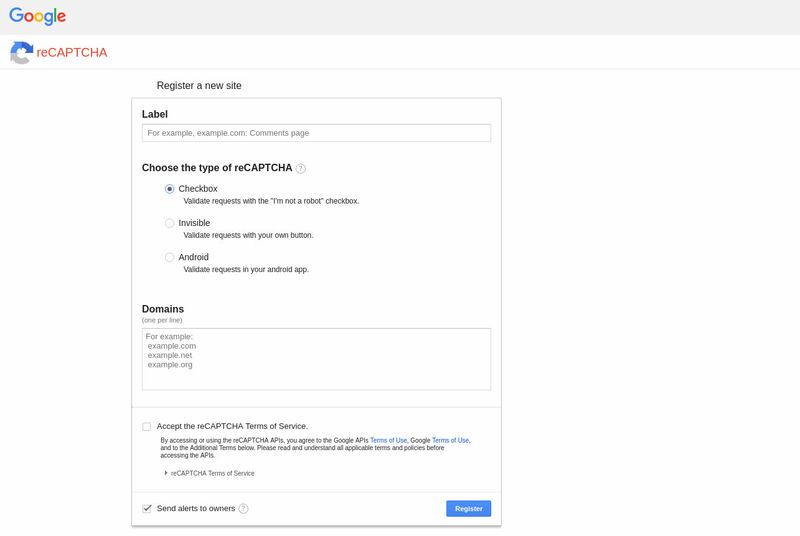 Websites are registered with the reCAPTURA service using your Google account. Its possible to register any website domain, but the details can only be used if you have access to the site’s files or form configuration through its website form administration. A website designer is therefore able to administer the API keys on behalf of their clients. 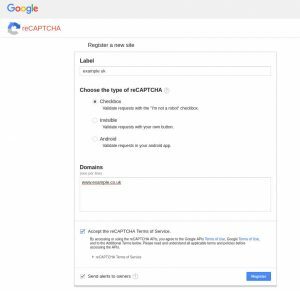 Navigate to Google’s reCaptcha administration website. At the top right corner click on My reCAPTCHA. 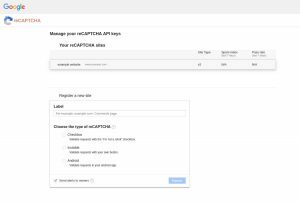 On this page are listed the websites for which you have already configured reCAPTCHA API keys. You can click on these entries to manage the entry. Below this is the beginning of the form for registering a new site. 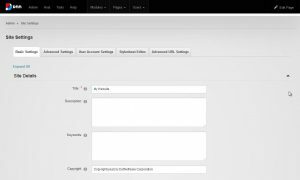 On the Register a new site form enter a name to distinguish the site. In this example we are going to use the checkbox style. Select this from the options. In the box Domains, add the address of your website. For illustration I’ve used www.example.co.uk. 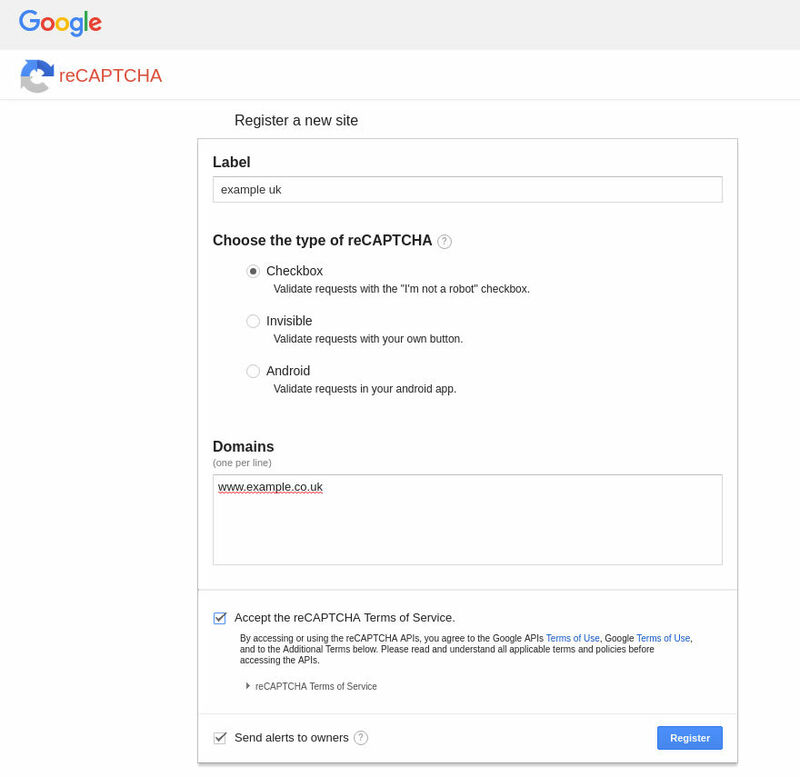 Click on the checkbox for Accepting the reCAPTCHA terms. You may wish to read through the terms, just to be sure that you are happy. Click on the blue button to Register your website. 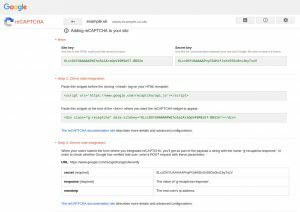 The next page shows some a summary view of the use of the reCAPTCHA on your website. 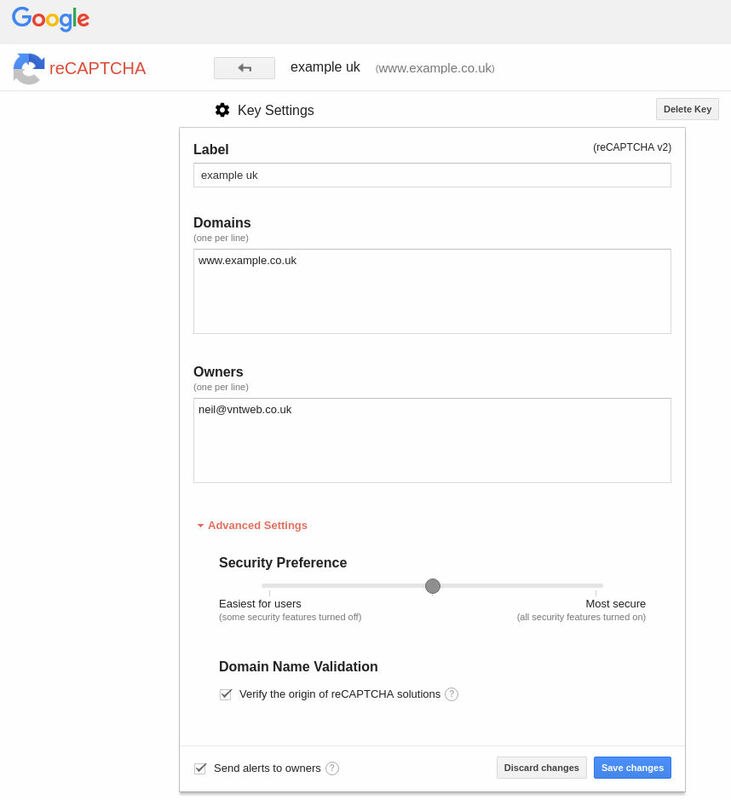 Scroll down to view the details for adding the newly created reCAPTCHA keys to your website. 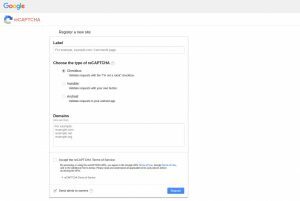 The details on this page can be used to integrate a reCAPTCHA feature on your website, to help protect your site against spam for submission. If you have been instructed to create the entry by your website developer the details on this page will be what they have asked for. Of interest for your website developer will be the information given for either client side integration or sever side integration. Client Side integration – provide the details in green, in the two grey boxes. 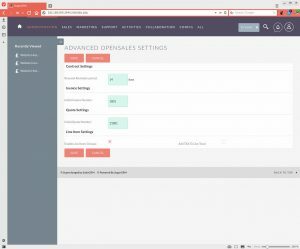 Server side integration – provide the value from the table for secret and response. At the top left is a back arrow which will return you to your list of websites. On the administration page you can click on one of the listed sites to return to this page to view the summary of settings. To recreate the keys for a website will entail deleting its entry and starting afresh. There’s a delete key button, in grey, top right above the Key settings table at the bottom of the page. On this form the security settings for the site can be amended. You will most likely find the default settings sufficient and can leave this section of the configuration alone. 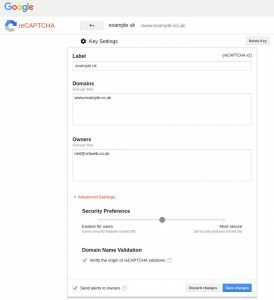 A guide to creating reCAPTCHA API keys for either client side integration or server side integration of a reCAPTCHA validation for use with forms on your website. 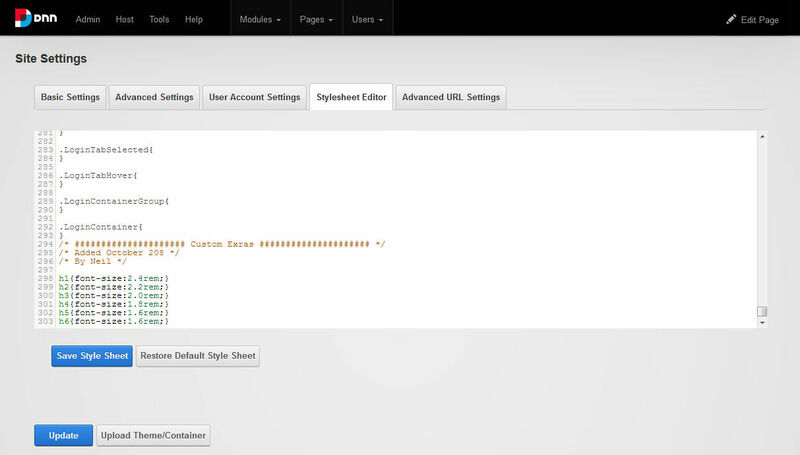 If you wish to add some custom CSS to your DNN website the Stylesheet Editor within the Admin pages offers easy editing. 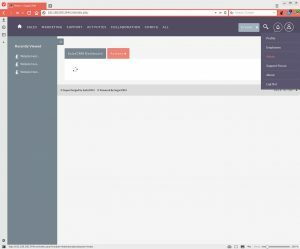 Not wishing to edit your DNN skin but wanting to amend the rendering of your DNN website? Using the Stylesheet Editor allows for overriding of the website’s skin and the presentation of modules without directly editing each of these. It allows all of your modifications to be brought together in one place. 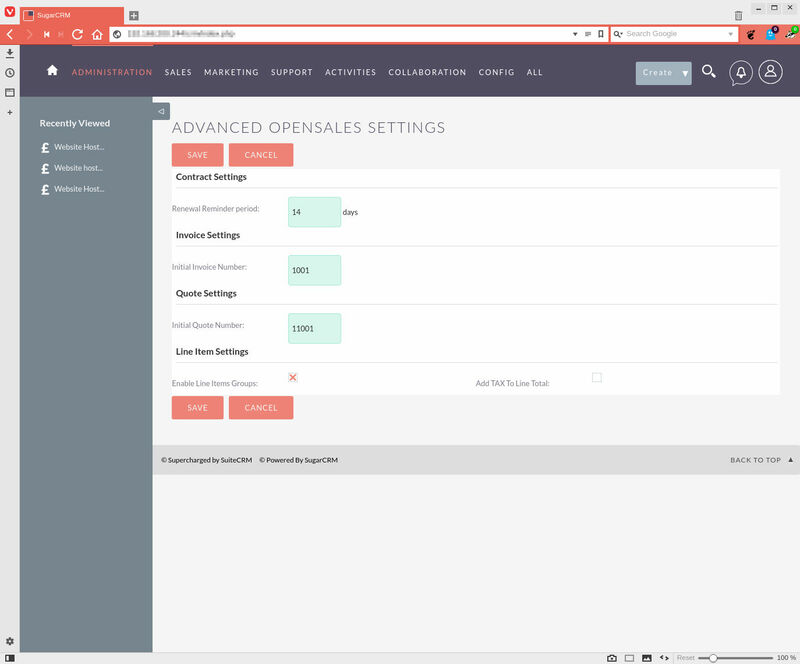 Open the page Admin Site Settings page. On this page select the tab Stylesheet Editor. The default content has references to many of the standard DNN classes. Either leave these in place or check to ensure that they’re not in use and delete the them. You can add your new overrides within the textbox. I like to add them to the bottom to better ensure that they will override the existing settings. And to make it easier to see. Shown in the image above are some example entries for the Header tags H1 to H6. For clarity I’ve also added a division, date and owner for the additional content. save your amendments and view the relevant pages. The file is loaded late in the sequence of CSS files, after the sites skin files. Its configurations will therefore be higher in terms of priority. Because the file is easy to edit, do ensure you have a backup copy. Anyone with admin access to the website is able to amend the settings. Sometimes the browser needs to be refreshed. Many times I have made a change to a client’s website, advised them that the updates are completed only for them not to see the change. Refreshing the page view will often not update the view. To view the changes made to the associated website files can require a forced browser cache update. Browser website cache is the local storage of website components: images, scripts and CSS rendering files. The aim is to store a local copy of the website components such that the next time the page is visited only one or two items may need to be downloaded. This improves the load speed of the website. The image above shows the details regards the timing for the downloading of the various components of a website. By caching elements of a website the browser saves on time regards to the download of those elements. However, if one of these elements has been updated it may mean that the change isn’t showing. If the browser is still using its older cached version then the page will look the same as before. So, how to force the browser to reload it’s cached items, just as if it was the first time visiting the web page? Whilst updating customer’s websites I sometimes find that the changes are not visible in their browser when reviewing the update. For example if an image hasn’t changed, or as shown in the image above one of the website rendering CSS files is still the same then this file doesn’t need to be downloaded. This means that the browser can render the page much quicker – it hasn’t had to wait for the file to be downloaded. Its also lighter on your Internet plan. Simply refreshing your browser view of a page may not be sufficient. Browsers tend to like to work from their cached copy of website static files. Files such as images, script files and styling are generally considered to be static. Refreshing the browser page will allow the server to regenerate the content, perhaps with any differences. But the underlying files will be kept. So, how do I force the browser to refresh its cache? Reloading all of the websites files as if I was visiting the site for the first time. The browser will try to limit the files which it downloads. However, his can mean that files which have been updated are not realised. Rendering n older version of the file. This effect is most visible when an image or the CSS layout file have been updated. This is most notable during the development phase of a website. We need to tell the browser to forget anything that has previously been downloaded from the website should be forgotten and download afresh. Researching this I found that comparable methods don’t exist across all of the browsers. I have found with Firefox that if I follow the often stated recommendation to host down the shift key and to press the f5 key I usually open a new tab. I have found that it is preferable to hold down the shift key and to then click on the refresh icon to the right of the address bar. Whilst testing website I have found that server errors can be particularly irritating. Firefox will fail to get the note working content from the server, rather contributing to show the server error. This does eventually time out and function correctly indeed more. For Safari versions 9 onwards pressing the command key and R will refresh the cache. There is also the option to click on the reload icon (at the end of the navigation bar) whilst holding down the shift key. Either CRTL + F5 or <SHIFT> + F5 will work. This may also be done from the Settings. Having selected the settings, scroll down to the bottom of the list, expanding the section Advanced. Within Privacy and security click on the option Clear browsing data. The option we’re interested in is Cached images and files. Ensure this one is ticked, untick the remainder. click on the button CLEAR BROWSING DATA. <CTRL> + refresh ought to suffice. But its not guaranteed. With IE the better option is to clear the cache either via the tools menu or F12 key. You may find you need to use the tools options to properly clear the cache. Click on the gear icon and in the popup window Internet Options within the sections Browsing History click on the Delete button. This opens a new window. Untick all items except Temporary Internet files and website files. Click on Delete. IceWeasel is effectively Firefox. It therefore acts the same. 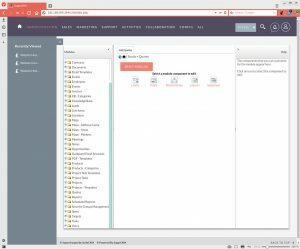 Opera doesn’t have the equivalent of clearing the cache for the current web page. 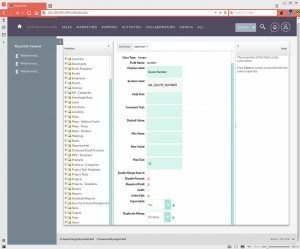 Opera settings then select delete private data. Cache empty is for all. Click on the menu in the top left corner. And click on Settings. The Privacy & Settings page includes the option to Clear browsing data near the top, within the Privacy section. Clicking on the link opens a pop-up window allowing selection of the items to clear. There’s an option to select how far back in time the selection shall affect. Whilst not giving the option to select the current page this does give a good approximation. From the Settings menu, select Configure Konqueror. On the pop-up window Cache is shown in the left menu as a child item of Web Browsing. Click on this. For me I was shown the message: This configuration section is already opened in Choqok. I closed Choqok and tried once more. There’s a single option, a button Clear Cache. This is one of the <SHIFT> key plus toolbar refresh icon ones. 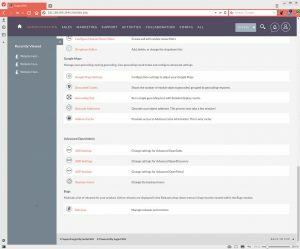 Click on the Vivaldi icon in the top left corner and select Tools and then Clear Private Data. On the pop-up window select cache only and set the time to Past Hour. Click on Clear Browsing Data at the bottom of the window. Using the quotes and invoices within Suite CRM I wished to set an initial number. The base number was to be a minimum of 4 or 5 digits making the quote, or invoice, number more visible. There’s also the possibility to set the two numbers as a reflection of the year. Subsequent numbers issued will be incrementally larger. Searching the Internet I found references to editing the database table values using SQL. Surely there’s a better way than this! Whilst not averse to such actions I’m aware that updates can potentially over write such amendments. 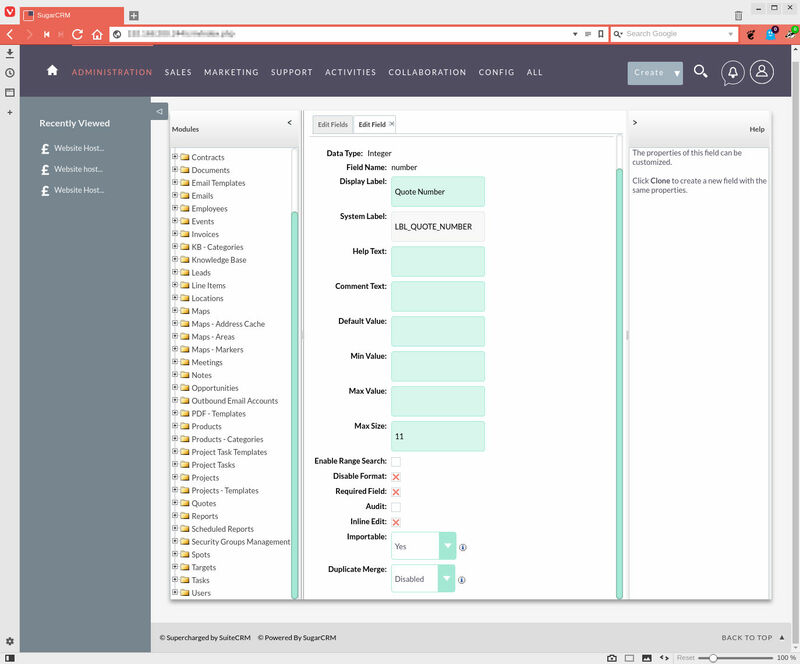 I also read about changes within the studio admin section, which covers the field types, text values and the like. Unhappy with both of the above two options I looked for a better solution. So how did I set the base value for the quote number? Lets start from the dashboard and select the admin screen. 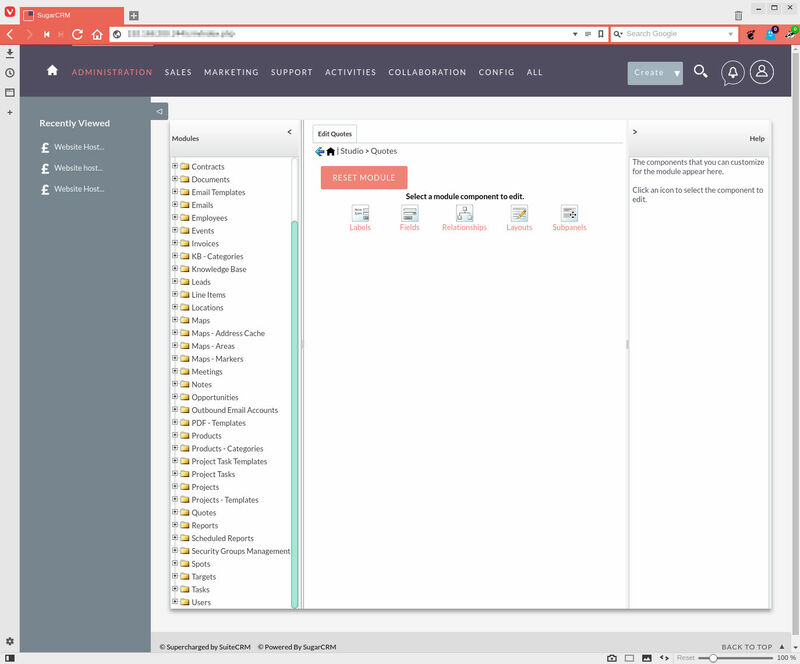 In the top right hand corner hover over the encircled person icon to show the drop down menu. Select Admin. 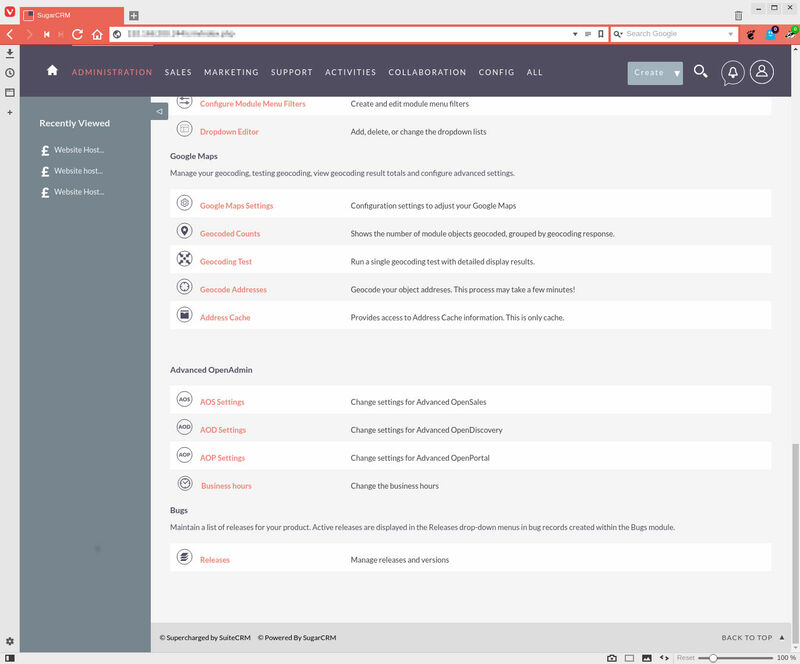 On the admin page scroll down to passed the Developer tools section, which includes Studio, which we observed earlier, to the Advanced OpenAdmin. Within this section click on AOS Settings. On this page set your base quote number value and if desired one for the invoices. The number needs to be greater than the current maximum value in the database, as its the highest value from the table which is referenced for the next value. Setting the browser agent in Firefox allows the browser to pretend to be something else. Traditionally the user agent string was changed to make the browser appear to be IE6. Without this some websites wouldn’t work. FireFox hides the User Agent configuration in the about:config settings. I guess is one of those less frequently configured options – why clutter and confuse the existing configuration options with an item such as this. To set the user agent string in Firefox. 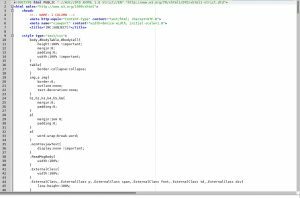 Enter the configuration using about:config in the address bar. There’s a confirmation that changing the settings can be harmful to the application and that you should only continue if you know what you are doing. The configuration parameter to be modified is general.useragent.override. To see if its available enter useragent in the search box. Its likely that its not listed as a configurable option. To add it right click in the window (I placed the mouse within the white space below the listing). add general.useragent.override as the name of the preference. The user agent can then be added. You may prefer to use an Add-On to manage the User Agent. This will allow a list of agents to be maintained with easy switching. Much simpler to checkout websites than to keep returning to the about:config options. With your FireFox browser configured to allow easy switching off the user agent you are able to test the reason of website to different browsers and bots. Of particular interest maybe the response of one of your websites to different robots. One of the website hacks (so called Pharma Hack) is to detect whether the visiting browser is the google-bot or a human visitor. The content of the website is then amended accordingly. If it’s the google-bot then it looks like it’s showing and referencing pharmaceutical products. Maybe you have configured your website to block the bad robots by their user agent, for example one of the spam bots. To test whether your website is rejecting these bad bots you can configure Firefox to appear to be one of them by setting the user agent string. To review and check that your website is presenting itself as you would expect change the user agent in your Firefox browser and visit your website. 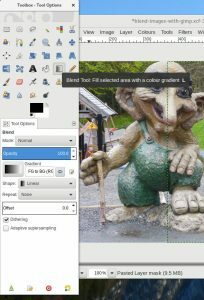 I use the Gimp to edit and produce artwork. For a project I wished to blend the edge between two images. Whilst working on a recent slider for a website. The images I had to work with were either the wrong orientation or just not quite long enough to be used as single images. 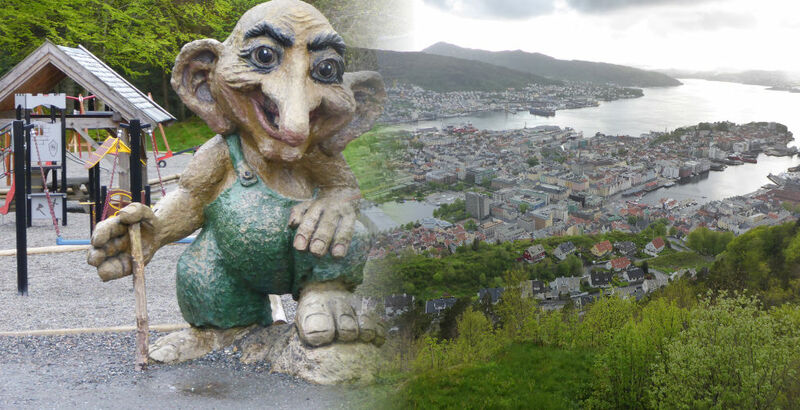 I wanted to join a couple of images together to create a composite image, the full width of the slider. This would also allow me to convey more information on a single slider image view. Blending two images together to get a smooth transition rather than a hard edge makes it more appealing. Even if the edge is only a few pixels it will be easier on the eye. Using the Gimp I took two images for a slider and blended the join between the two to create a fade between them. 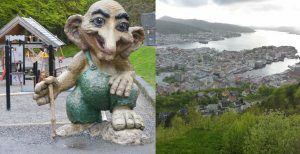 Here I am using two pictures from Bergen. To begin with in a new image I added the two images, one per layer, leaving the background untouched. To make this work best an overlap of the two images is required. The layers are shown in the Layers Window: the image of the troll, the view of Bergen from Mount Fløyen and the generic background layer. In the layers window, for each of the layers, right click and select to Add Layer Mask. 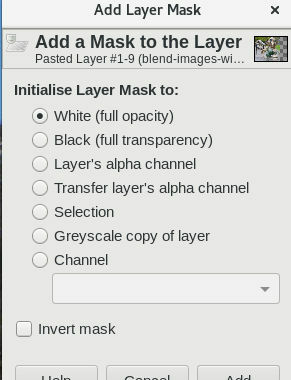 With the layer masks added again right click to view the properties, check to ensure that the check box for Edit Later Mask is ticked. From the tools window select the blend tool. The foreground and background colours should be black and white respectively. 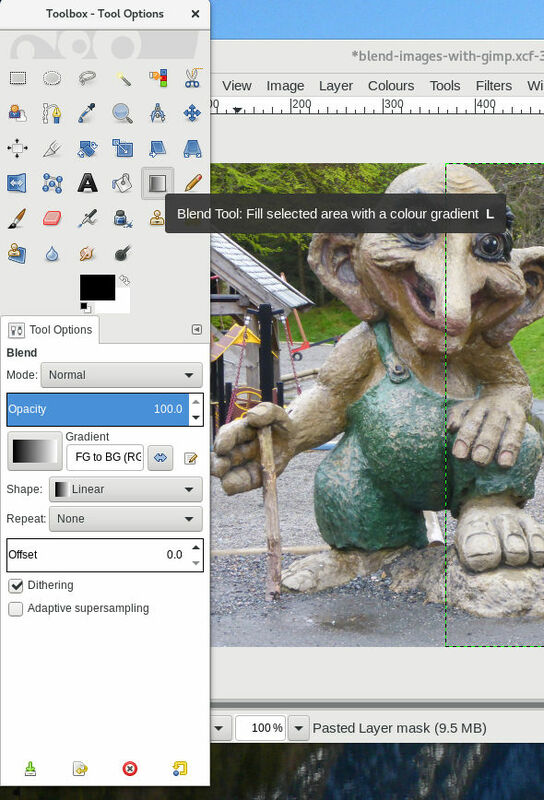 Between the transition of the two images drag the blend tool line, if horizontal of vertical holding down the ctrl key helps to keep it at 0, 90, 180 or 270 degrees. Drag as far as you need to create the blended transition. The longer the line the great the overlapping transition.